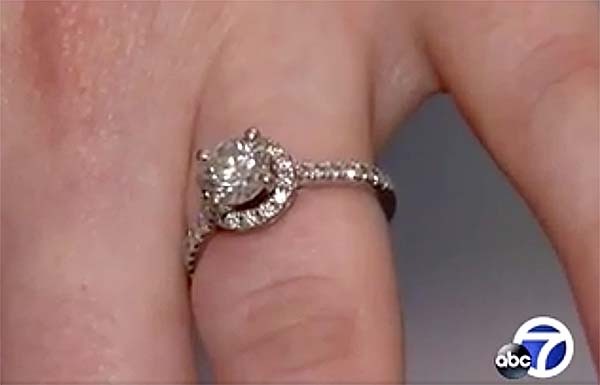 Resourceful neighbors in the community of Alamo, Calif., pooled their limited plumbing skills to reunite a future bride with the $10,000 diamond engagement ring she had accidentally flushed down the toilet. Only 48 hours earlier, the world was filled with nothing but despair for Haleigh Morrissey and her fiancé Dean Booras. Morrissey had been in her bathroom applying suntan lotion when she grew concerned that the ring might get stained. She asked Booras to remove it from her finger and rinse it off. He cleaned the ring and placed it on a tissue, neatly folding the ends together to create a little ring package. And he left it there on the bathroom sink. Later in the day, Morrissey returned to tidy up the bathroom and instinctively scooped up the folded tissue and flushed it down the toilet. “I got to the bathroom and then I was like here’s some trash… throw it in the toilet,” Morrissey told a reporter from Fox affiliate KTVU. Morrissey was devastated when she realized what she'd done. "I thought there is no chance in the world that we were ever going to see it again," Booras told the local ABC affiliate. The panicked couple recruited a bunch of neighbors from this close-knit community 28 miles east of San Francisco. Together, they pooled their marginal plumbing experience to noodle out the best way to find a flushed engagement ring. After watching a bunch of YouTube videos, neighbor Brett Gunari rented a plumber's snake equipped with a camera. When that method failed to turn up the ring, fellow neighbor and building inspector Ken Gunari recommended that they flood the system and try to snag the ring further down the sewer line. His method: "Turn on the bathtub, flush the toilet, dump the two five-gallon buckets of water into the toilet all at once," he said. About 200 feet from the house, the neighbors had unearthed the sewer line and rigged it with a screen to catch the ring. Within a few minutes of the water rush, the neighbors at the site of the trap could be heard yelling, "Oh man, look at that." The plan worked. The ring emerged from the screen a bit mucky, but not damaged. We're guessing that Morrissey and Booras — who have their wedding planned for this May — will be adding a bunch of well-deserving neighbors to their guest list. 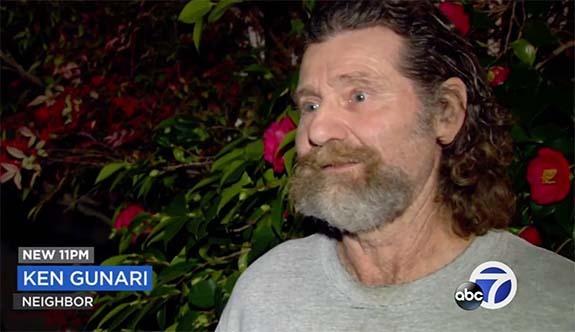 Credits: Screen captures via abc7news.com.